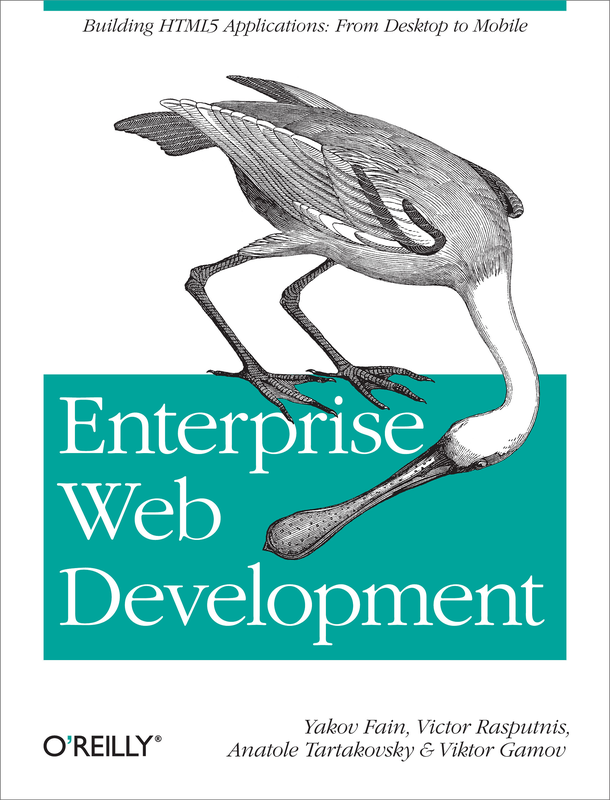 This is a home of the book «Enterprise Web Development. From Desktop to Mobile». The authors of this book are Yakov Fain, Victor Rasputnis, Viktor Gamov, and Anatole Tartakovsky. They all work at Farata Systems, a leading IT consulting and product company specializing in the area of the Enterprise Web and mobile applications. The sources of this book are located on Github . The repository for code samples accompanying the book is located on Github as well. The book is released under a Creative Commons Attribution-NonCommercial-ShareAlike 3.0 Unported license. This book is available for purchase via O’Reilly Media. You have an option of purchasing this book at your favorite store and in a number of digital formats.